While some stores offer holiday mattress deals that are supposed to blow you away, you really don’t know if the beds they’re selling are built to last — and how comfortable they are. You could pay a super cheap price for a new bed for your daughter, but who knows if she’ll still be sleeping well on it next year at this time! Beloit mattresses are built by expert mattress makers just as they have been since 1929: by hand. As veterans of the sleep industry, they’ve done the research to know what materials make a bed comfortable, and what build will make it last. And because they make these mattresses themselves, they’re able to price them affordably every day. As if we don’t already offer the best mattress deals online and in our stores, we’re also giving customers an extra 5% off coupon! Simply download the coupon on our website and bring it into a Beloit Mattress store to redeem an extra 5% off our already incredible holiday mattress deals. The holidays are an expensive time for everyone, but that doesn’t mean you should sacrifice the chance of improving your sleep or helping someone you love to sleep better. To help you make your purchase manageable, we offer financing through Synchrony Financial with year round, 6 months deferred interest, or promotional 18 months deferred interest (see store for details on current promotions). We also offer an Amazon Pay option. 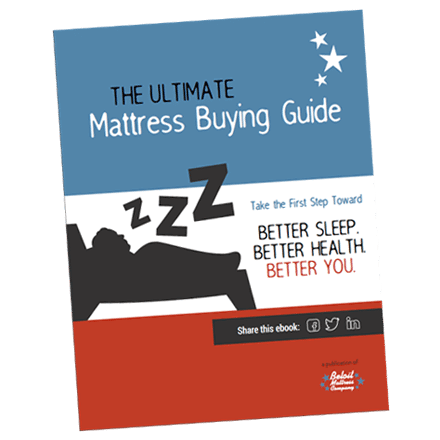 Whether you’re looking for holiday mattress deals on a latex mattress, an innerspring mattress, or a gel memory foam mattress, we have exactly what you’re looking for at Beloit Mattress Company. You won’t find a better quality bed at a better price, so download our 5% off coupon and stop in and see us this holiday season!